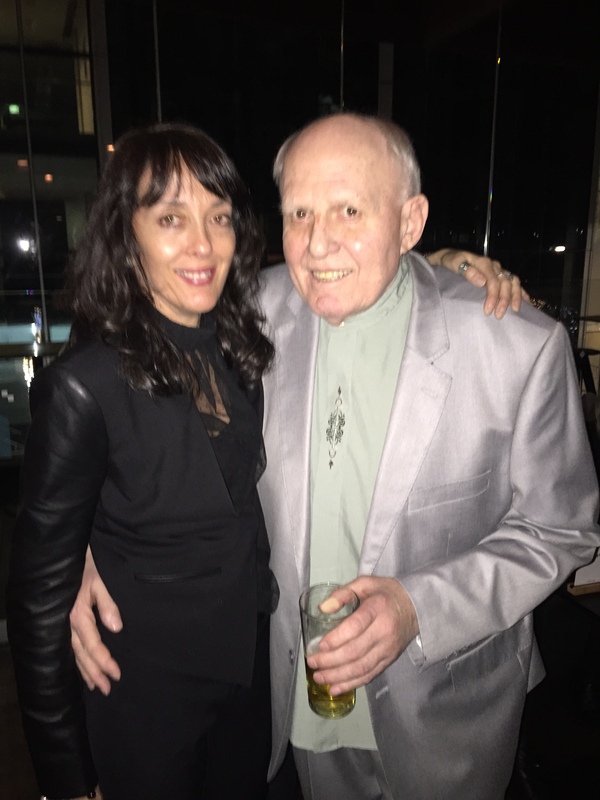 My Birth Father & Friend – Colin – What is Style? Sadly my birth father Colin passed away yesterday (23rd June 2016)….. It was just over 4 years ago that I tracked down my birth father. He used to deny his part to play in my existence, but my birth mother was very clear that there could be no other. I think over time, Colin began to accept me and eventually realised that I wouldn’t be going away any time soon. He lived in Melbourne but came over to New Zealand a number of times to visit. It was amazing for me to actually have both my birth mum (who lives in Sydney) and dad sitting around the table, us all having dinner together (something I never imagined would happen) on my visits to Melbourne and Sydney over the years. The whole time I knew Colin he wasn’t particularly well, so I think my timing was perfect in that I got to spend time with him. We managed to cram a lot of memories into four years including going to the netball, the Aussie Tennis Open, he came over for my big birthday last year, we went shopping for a baby grand piano. He found me the best place to stay in Paris and was always looking and sending me information on things he thought I would like to see or do. For the last two years he organised a magazine subscription to Australian Vogue for my birthday and every time the magazine arrived – it reminded me of him. He was a memorable character for anyone who met him. Opinionated, stubborn, rude at times – loveable, annoying, funny and thoughtful. He was like no other. It is unbelievable to think only two weeks ago, he had been messaging me about coming over to NZ for a holiday. However, his body decided it had had enough of fighting the cancer and could cope no more. I flew to Melbourne last weekend knowing it was likely to be the last time I would see him. I was so glad to spend that time with him, although I doubt he even knew that I was there … rest in peace. So very sorry for your loss, Hel. It was a nice way for me to remember him in a blog …. he’ll be impressed with all the attention ! !